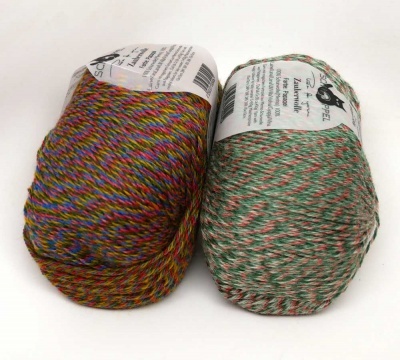 Our latest entry into our Orphan Skeins category. There are only one or two left of each of these and so we are offering them at a greatly discounted price. 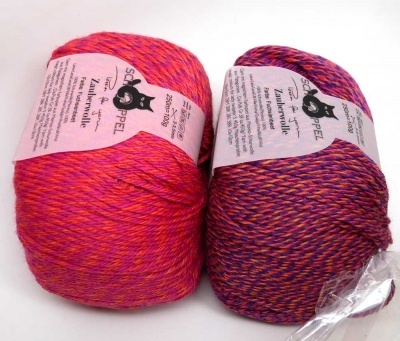 This yarn is Schoppel's Zauberwolle, with 273 yards (250m)/ 100g. This 100% merino yarn is plied and has a slowly progressing gradient. The colors change but it takes quite a while for them to do so. 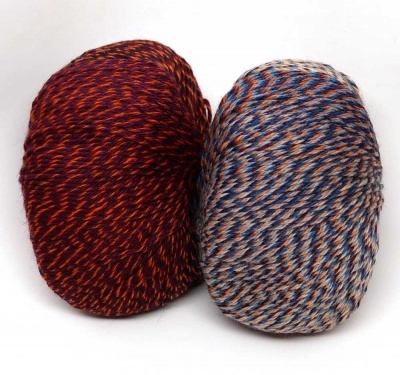 They are photographed showing two balls in each picture, both of the same colorways, started from different ends. Choose from the drop-down menu and have a lovely lovely time. 2. #1701 has many autumnal colors, of greens and oranges and golds with some blue as well. 3. 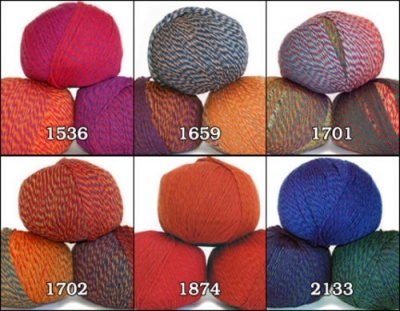 #1702 is rich and "peak season" autumn, with oranges and golds and reds, as well as royal blue and a whisper of green. 4. #1659 is an interesting mix including rusts and wine, blues, and browns. There is a new hat pattern, Juxta by Woolly Wormhead, which caught my eye. It is an unusual knit that gives a most lovely look. 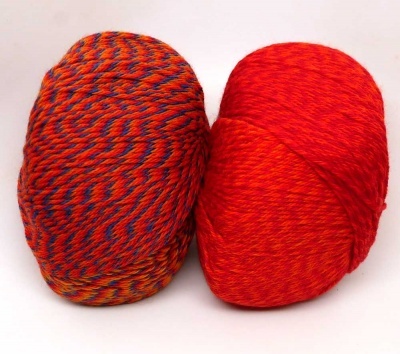 As this is a gradient yarn within the range that would work very well for the hat, we thought it would be a fun gift project (or a great hat for yourself to add cheer to a dull grey winter). 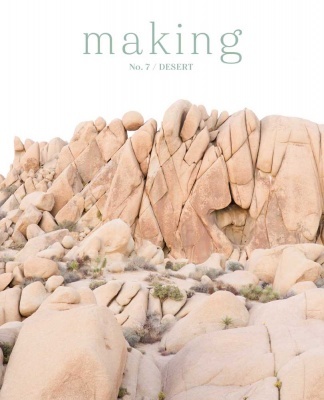 Make sure the get the pattern via the designer's Ravelry page here. What we have here is the yarn for making it only. 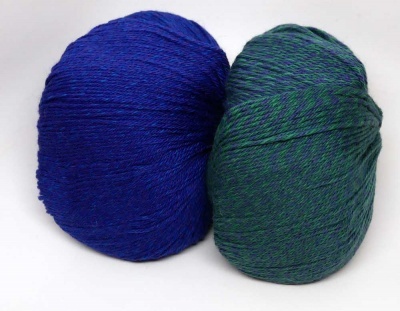 Thus if you knit from the beginning and from the end, you get contrasting colors to knit together into this hat. All that is needed for the hat is 170 - 255 yards (155 - 233 m); thus one ball should be plenty.